Right now it is a seller’s market. Homes are going fast and when priced right, sellers are getting their asking price, or even more! So while it might cost a bit more to change your living situation, you, most likely, will get more out of your sale and will sell quickly, making it an easier transition to your ideal home. The real estate market is gaining ground, and looks similar to the way it was about ten years ago, but it’s not exactly the same. What’s the difference between then and now? There isn’t loose lending, new construction in abundance or speculative investing. We do have consumer demand, job growth, controlled lending, low inventory and population growth. So while it may look like it could be a bubble, it lacks the elements to make it volatile. 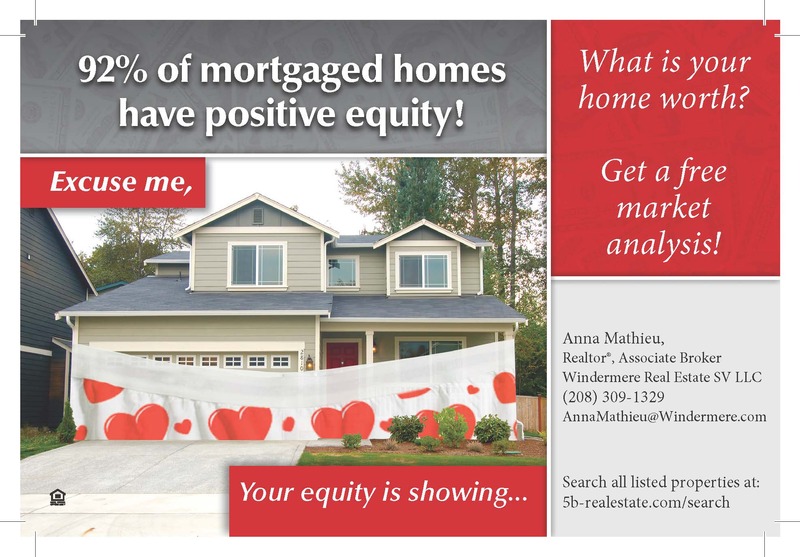 Whether you want to invest your equity in a new home or just need to change your living arrangement for any reason, now is the time to act while rates are low and the market is active. To get a free market analysis of your home, email your name, address, phone number, and a description of the condition of your home.